Xbox 360 CE – Emulate Xbox 360 Controller on Windows! 5-11-13: Added link to Visual C++ 2012. Added Troubleshooting section. If you came to this page, you are probably here because of a game video tutorial that uses a PS2 controller to emulate the xbox 360 controller so you can use it in specific Window games. I did notice that in the newer versions of X360CE, it may not work properly with certain games, even if you remap the controller. 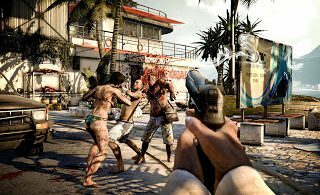 Dead Island Riptide is a good example. A good comparison post to complement this one is our graphics card comparison AMD FX vs Ryzen. We’ve recently added new tutorials regarding how to play certain videogames using the X360CE controller emulator program. Check out How to Play Call of Duty World at War with a PS2 Controller here. Read our latest post, the Top 3 Mistakes of Buying Video Games here. what games dont work for this??? Dead Pool doesn’t work. 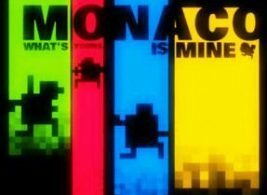 Most games that don’t use x360 controllers won’t work by default. Is it working for W7 64bit ? You need to remap the axes inside the x360ce.ini file. Is this the twin usb joystick adapter? Can you give me your config file for bf3? dead rising 2 work ????? It should yes if it supports xbox 360. Yes I use it all the time. How it will work for Sniper Ghost Warrier 2? Mine is accepting all inputs but when i start game, its not working in game there. What to do? Look into xpadder or joy2key. Best to go to the controller manufacturer website and see if they have a driver. The games allow for chitchat and conversation involving the participants, through cam and online messengers.